Appearance (0-20): Many of the Limitada line carry the same style of dual banding with the Limitada band separate from the year. 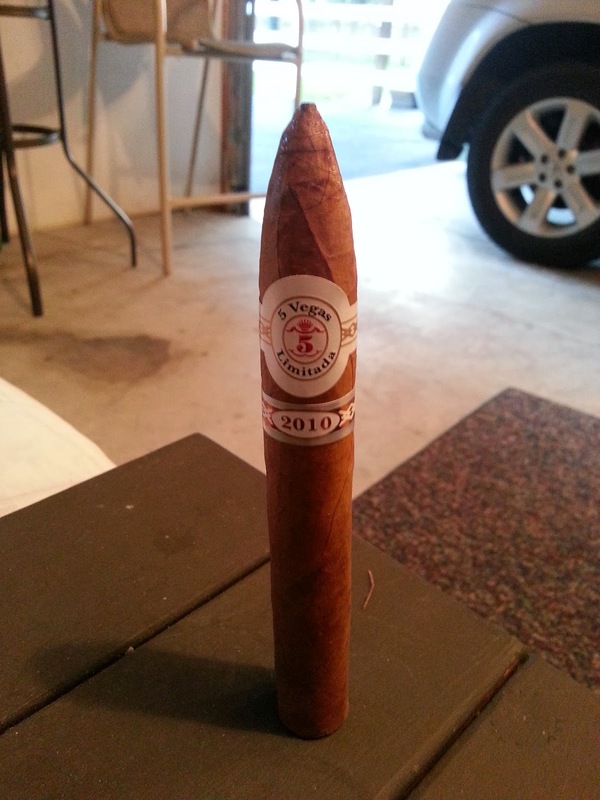 This cigar is no exception. 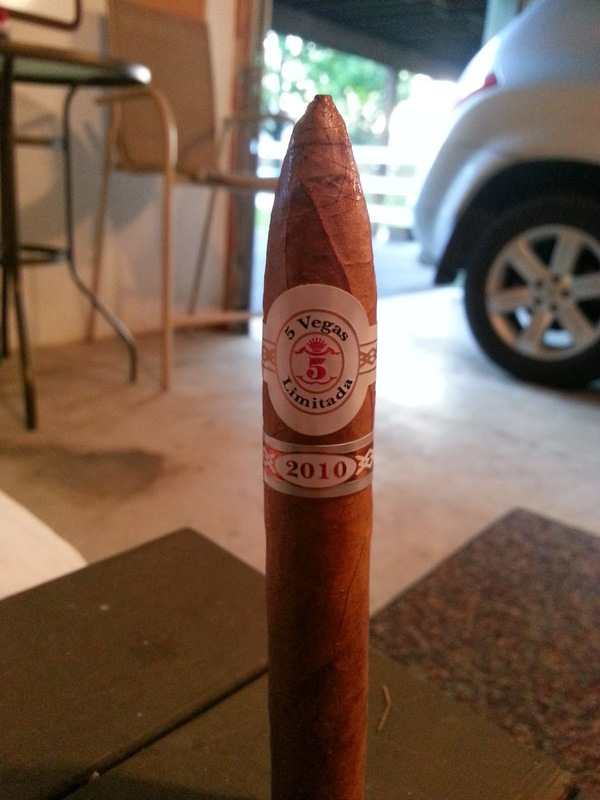 Silver, gold, red, and white grace these bands and look solid on the light landscape of the Habana 2000 wrapper. It’s a decent looking stick for the most part, thought here are a few larger veins that are a little concerning. Thankfully they seem to be closer to the cap. Otherwise, it looks decent, though if it were not a limited run, I may never have picked it up. 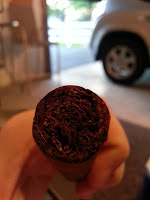 Construction (0-20): Slightly soft to the tough, the cigar feels perfectly packed. The cut and burn completely verify that feeling. The cut (as shown in the picture) reveals nearly no excess tobacco and (also shown) the ash held on very well. 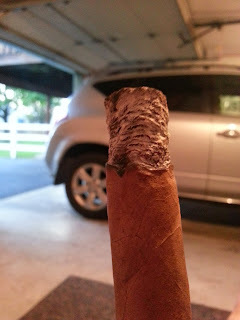 There was some slight deviation on the burn, but it was slow and cool with a great pull. No complaints on this one. Strength (0-20): Marked as a full strength sort of cigar… its close. Consider this one closer to the full range, but only tiptoeing into it. 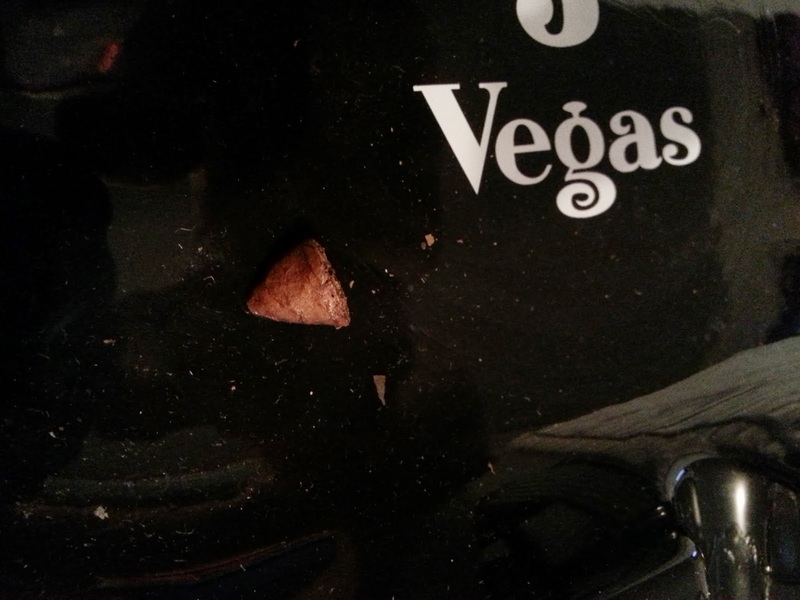 Flavor (0-20): Initially it’s a little on the bland side, but within just a few puffs there is a nice pepper blast that intensifies with each draw. The backdrop of cedar has some slight bitterness to it, but it works decently well. As it progresses, the bitterness fades a bit and leather and toast notes poke through. But the taste is quickly reversed, bringing back the bitter nature, though it was a bit more on the earthy side. Not quite one dimensional, but close. Value (0-20): $6 for a stick like this isn’t too bad. Its solid overall with some decent (though somewhat one dimensional) tastes. Additional Notes: Paired with water at in my garage. It’s all about ambiance! Overall (0-100): 5 Vegas typically does a pretty good job with their Limitada lines, though this one in particular didn’t do it for me. Overall it’s a solid cigar with an outstanding construction, but I would be looking for something a little more flavorful… whereas this one is very much a one trick pony. The pepper and slight bittery tobacco flavors actually play well on each other, but there is little more than that aside from some nuances. For the price, I would veer toward some other sticks but all in all the price isn’t terrible. My advice – put an extra couple of bucks aside and upgrade to a better stick – the 5 Vegas Limitada 2008. That is the year you want.